Late last week, one of Google’s robot-driven cars caused a minor car accident near the web mega-company’s campus in Mountain View, California. The accident involved five other vehicles, including another Google robot-powered car, but the company was quick to absolve their technology from any responsibility for the futuristic crash, saying that a human was driving the at-fault vehicle at the time. 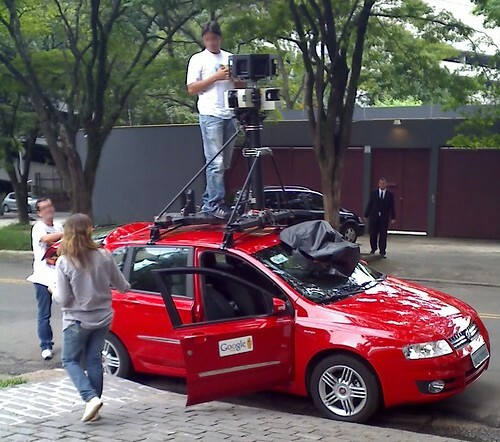 The accident indicates that Google’s vehicular experiment is setting the stage for a brave new world of potential street problems that that could make the question of legal liability following an accident much more complicated. “Safety is our top priority,” Google wrote in a statement last week. “One of our goals is to prevent fender-benders like this one, which occurred while a person was manually driving the car.” Google spokesman Jay Nanacarrow added that their robot-operated cars have driven more than 160,000 miles across the country without an accident before last week. That’s an impressive feat, but the accident raises important questions about the future of technology controlling vehicles on our streets and highways. Even if the at-fault car was driven by a human, for example, I wonder whether the other Google car could have avoided the crash if a human were behind the wheel. It would be difficult to hold the human “driver” at fault in such an accident under the fault-based negligence regime that currently governs car accidents. After all, the conduct of the driver who caused the accident (getting in the car, programming the car’s destination) is indistinguishable from the conduct of the driver who gets in a car, programs its destination and arrives safely at his destination. It is difficult to see how the conduct of the former driver, who got in an accident, can be considered negligent, given that our Anglo-American concept of negligence requires that a person liable for negligence have acted “unreasonably” and the driver who was involved in the accident acted in the exact same way as the driver whose voyage was entirely uneventful. So even if last week’s Google car accident was not the fault of technology, it’s clear that this focus on technology will lead to future dilemmas when it comes to road safety and auto accident liability. Let’s just hope that we have a system of dealing with these problems before they confuse or overwhelm the courts.